Will she ever belong to the country she loves? You can find out in this award-nominated book now on special offer! Why does she need to go for a walk? For the first time since publication, you can buy this novella for 99p. Health warning…… it is a book which makes you think. 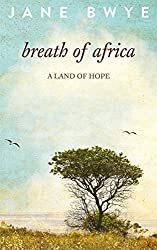 This entry was posted in Authors, Breath of Africa, I Lift Up My Eyes and tagged Africa, Crooked Cat, Jane Bwye. Bookmark the permalink.